WHAT: Twelve germanium fuzz circuits compared and analyzed. These represent the sounds of almost every fuzz pedal introduced between 1962 and 1968. In Pt 2, you hear additional guitars (a 1981 Les Paul with ultra-vintage Duncan Seth Lover PAF pickups, a mid-’90s Hamer 20th Anniversary with ultra-vintage Duncan Joe Bonamassa PAFs, and a Fender Hello Kitty! Strat with a screaming-hot Invader pickup), but the other details don’t change. I made no adjustments to the amp settings throughout. While I often play fingerstyle using flatwound strings, here I opted for a more conventional approach of pickstyle playing with medium-gauge roundwounds. Because some of these effects work best with no buffering between the guitar and the pedal, I played each example separately, as opposed to using a looper or a ReAmp. I aimed for consistent performances. All 30 germanium transistors heard here are new-production AC-128s from the same vendor, hand-tested for appropraite hFE (gain). The is the longest, most ambitious video I’ve attempted. I learned a ton and made some exciting discoveries. I hope you dig it — and I can’t wait to hear your take on some of these circuits! Surprised that the Mk II is my least favorite ‘Bender given the usual views, and along with that I’m quite surprised that I liked the Mk III better. Definitely some stuff in there I need to build. Buzzaround and Fuzzrite will be my first in line — texture machines there. Thanks! And oh — I wanted to explain why I didn’t follow through on your (really good) idea of demoing the circuits with amps at various gains. It just seems to me that, as different as those germanium fuzzes sound, all germanium fuzzes seem to interact with a tube amp in a similar way: You get a tight, bright sound with a clean amp. It softens and compresses as you raise the gain. And at high-gain settings everything farts out. So it would have felt like telling the same story 12 times. I totally get what you’re saying, especially the chore of it. And yes, fuzz and modern high gain amps don’t play nice at all. Still, it’s very worth pointing out that with some fuzzes you can really hear the smoothing effect of an amp with a bit of heat and the sound gels. Especially stuff that’s a bit jaggedy, edgy, and maybe a bit to thin or papery into a clean amp will finally make sense when you’re in the amp gain range of a cranked tweed or early Marshall. The silicon devil didn’t make this survey, but a Big Muff generally sounds a bit too smooth in some cases into a similarly cranked amp, but it starts with the highs pretty smoothed off. “Horses for courses” as they say. Who are they? People who collect horses instead of fuzzes, apparently. Y’know, weirdos. Hey Joe, this is really cool! If you can, upscale the video to 720p. Not because of the video but the audio quality is vastly superior (usually 192k vs 128k: http://en.wikipedia.org/wiki/YouTube). Weird — the video IS at 720 — or did you mean the embedded version on this page? Funny, I liked #2 the best, followed by #12, but then I’m not fond of high gains usually. I might build these two schematics. 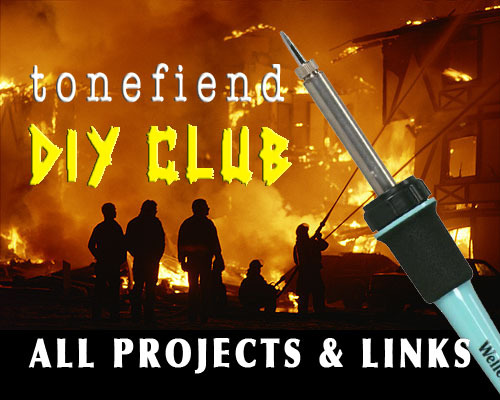 Anyhow, I really want to try and build a pedal myself now, gonna check out the tonefiend DIY section. Love the faces on the pedals! Did you match their expressions with the sound characteristics? Amazing review! So, when did the master volume amps come along, and how did that affect the fuzz pedal market? I get the impression that most of these designs predated master volume and were an attempt to allow a distorted tone at more reasonable volumes. Great question! I don’t know when the FIRST master-volume amps happened, but I know the notion of multiple gain stages became more popular during the ’70s thanks to clever techs like Paul Rivera and Randall Smith from Mesa. Excellent work. I’ve got be build some of these. The fuzz face and the selmer appeal to me. But then I’ve got some old 70s distortion boxes already and haven’t bothered to put a battery in them for at least a decade, maybe two. “be build”… sheesh. More coffee… I sound like the Cosby Kid with the cap…. Jeez Joe, the scope of this project is staggering! And you refer to yourself as ‘too lazy” in the comments above…Uhhh, sure. Thanks so much for putting this together – I have learned much (perhaps too much, now I want more stuff). What DD said… +1. I’ve watched a lot of effects videos online, probably more than is healthy. I would venture to suggest that this is the first online fuzz box review that’s actually useful (as well as fun to watch). bloody brilliant! I’ve got to watch a couple more times on headphones, but I’ve already picked a couple that will be added to the build list. Thanks Joe! Which ones do you want to build? I only use guitar for writing and recording so I try to distinguish between what sounds awesome out of the amp (great for live) and what will sound nice in a mix with the least amount of wrangling (those two things not always being compatible). So, for example, I love the direct force of the WEM PBR (6) but I can only hear it recorded with heavy tape saturation along with an equally jacked and saturated band, which I regrettably don’t have (that would sit well on any track on Dead Weather-Sea of Cowards). On the other hand, the Sola TB II (7) would sit nice in just about any mix. It’s not an effect I’d use when I’m noodling, but I could see myself grabbing it often while tracking. Well, I’d say everyone should have a great retro Fuzz Face. That Mk 1.5 in the video sounds amazing to me, a little better than the Fuzz Face, though I wouldn’t assume that’s because of the slight variances between schematics. Recording that Fuzzrite reminded me of a Metallica story I wrote right when Justice for All came out. Kirk was telling me that he likes Tube Screamers because they’re not like those crappy fuzz pedals where the distortion seems to be painted on, detached from the body of the note. The tones of the Fuzzrite and Orpheum are exactly what he was talking about. Side Q, did your aesthetic rub off on E/The Eels? Some of the guitars on the new album sound a lot like you, but I didn’t see your name on it. It’s a great album. Yes, inspiring video! I watched it several times and all I can say for the moment is that I have to build a Fuzzrite/Orpheum and a Buzzaround which I think would work best in a band context with two guitars. At least in mine! Nice sound texture with the volume knob lowered. The Selmer is a big surprise too. By the way, as I’m wondering for years now, what fuzz were you using with PJ Harvey? Hi Eric! The main fuzzes I used with Polly were a Prescription Experience pedal (a Foxx Tone Machine clone, though I didn’t realize that at the time) and a defective, mis-biased Dunlop Jimi Hendrix Fuzz (a properly working one is nothing special). I’d also just slam the amp input with a Chandler Tube Driver. Not long after, Z. Vex released the Fuzz Factory, which can get the farted-out sound of the broken Dunlop, which was lost on tour. Hi Joe, is it possible for you to supply a link to a representative schematic that you followed? Just looking for “Maestro FZ-1 schematic” I get 3V versions, 9V versions, and all sorts of other differences. I don’t see how I can possibly match what you have done! Grazie. Oh man, I know! That had me confused for the longest time. There’s also a later Maestro pedal called the FZ-1a. Which, the smart folks in the thread have figured out, is missing a resistor. There was also a FZ-1b which was designed for bass originally. I’ve never compared it to the other FZ’s but it has a gate that takes a lot of guitar to trigger solved by a compressor before the FZ-1b. It can cop Satisfaction style fuzz and nails Human Fly by The Cramps fuzz as well. It has a schematic in the bottom of the enclosure. No rest for the fuzz obsessed! Argh! I wanted a complete set. Though I’d also like some visual evidence that this thing actually, you know, EXISTED. I breadboarded this last night. The topology is similar to the Fuzz Face, but the tone is quite different. My first take was that it had a lot less character, and I was a bit disappointed. But the words “disappointment” and “Companion” just seem to go together. The Si Companion was one of the first fuzzes I made. The description sounded so amazing: “The obscure, nasty, cheap-sounding Japanese fuzz that Jesus and Mary Chain used.” Sold — I want one. But it always seemed so one-dimensional and, well, boring. Re: don´t put a buffer in front of a fuzz face type circuit. This is right AND wrong dependent on your perspective. The basic FF is a funny circuit because they tried to wring most gain out of inferior compenents (compared to today´s components). The first stage uses current biasing. A buffer circuit has a few hundred ohms driving impedance compared to some 7-15 kOhm pickup impedance, which will turn the fuzz face hard-on (pun intended). Mike Fuller realized this and put some (variable) series resistance in front that fixes this problem. (I have been going on at this and other FF related problems at length on my web pages http://aquataur.at.tf). You could use a buffer with a 7k series resistance and achieve the totally same effect. The Tonebender has a 10k drive impedance into the FF core. (BTW a booster in front of a FF with series resistance sounds similar to a TB). So this statement is right and wrong, dependent on how you look at it. Is it not marvellous that everything in this world has two sides to it. The video is great, thumbs up man. I know how much work those things are. Hadn’t read your FF experiments before – great analysis! That smooth curve as we go from “off” to “on” is critical to the sound! RG Keen’s FF article states that the voltage feedback bias circuit was chosen to get maximum gain out of lousy transistors. But I also think (since I haven’t tested it) that WHERE your quiescent bias point lies along this curve is going to have an important impact on the sound. I have thought about the FET front end, but not so much as a buffer, but to actually boost the signal (common source amplifier rather than source follower) so as to drive a Si transistor so that it starts conducting at about the same point as a Ge. You’d need to reduce the gain of the Si stage correspondingly so it didn’t saturate too soon. Putting a small emitter degeneration resistor between the Si transistor’s emitter and ground will decrease the stage gain, but it also reduces the impact of the Vbe – Ic exponential curve at low voltages (which is bad). So I’d reduce the Si transistor’s collector resistor instead. Think it’s time to get the breadboard going! And with Ge transistors not so hard to find any more, there’s no real reason to go to Si other than to have a different sound. I’m going to buy one of these FF clone kits for starters. RE: all germanium fuzzes seem to interact with a tube amp in a similar way. I think this does not have to do with electrical things like impedance or so, because none of those factors change when you wind up your tube amp. I believe this has to do with the way a tube amp compresses. It so happens I just work with tube amp sag, that´s why this springs to mind. You said you use a Fender head. The Tremolux is a push-pull amp which biases cool. Under stress its power supply will sag which in turn produces some compression (a Champ will be not subject to this phenomenon, also a Vox AC-30 or the like). Compressing the initial peak of the signal means changing its attack and removing some fast transients. Fast signals mean treble, that´s why a clean signal appears to have more treble than one that starts to be compressed by the output stage. With increased pushing, the treble contents starts to rise again, but by this time the already smeared signal of the FF will sound worse and worse. However, as you mentioned yourself in some other video, tailoring the bass response of a fuzz face (like with a series cap in the guitar) will work wonders. 1. 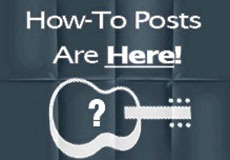 Your guitar already has this feature built in. It’s called a volume knob. It shapes tone as well as volume, though far too few players grasp this. 2. In many circuits — and especially the Fuzz Face/Mk 1.5 — adding resistance at the input (AKA lowering your volume knob) provides a more expressive and musical gain control than variable resistance applied directly to the transistors. A number of DIY and boutique Fuzz Face projects run with this idea, and it also works well with other distortion circuits, including many modern ones. Sometimes it just sounds cooler to optimize the circuit for a fat, roaring distortion sound, and control the gain exclusively by lowering the input. 3. As a result, I like building fuzz and distortion stompboxes with one knob or no knobs, and piloting the tone from the guitar. I originally made the Fuzz Face in the Fuzz Detective video without knobs, and only added the gain and output controls later to conform with the other pedals in the video. Exactly. What one calls a feature, others may call a flaw. I personally try to avoid interactive controls. But again, God made diversity. And Bebah, this sounds interesting. Let us know what you find. one the Ge fuzz kit. I’m presuming that the kit transistors aren’t sorted and may not be in the magical gain zone. This approach looks like it can accommodate a wider range of gains by making adjustments to the resistor values. The Selmer and the mk1.5 are standouts to me. Great video. I’m surprisingly drawn to the Zonk Machine. It’s weak and thin, but I dig it’s odd clangy overtones. There’s got to be a way to get that oddly accented top end with an overall bigger sound. Worth looking into, maybe. That’s related to an idea that came out of discussion of my video over at DIY Stompboxes (a fascinating thread that sadly, got wiped in a site glitch): To take one of the “farder to love” circuits like the Zonk Machine, and see what you could wrest from it by pairing it with other pedals, various preamps, downstream processing, etc. You could totally get great sound from the Zonk — it just might need a little assistance. I agree demoing various amp gains 12 times might be redundant(and too much work), but for the lower gain fuzzes I would have enjoyed hearing if, while sounding thin and shrill through a clean amp, they might have added some interesting character to a distorted one. There are a number of fuzzes that I would never use through a clean amp (especially octavia style) but would certainly employ either through a slightly broken up one or stacked with an overdrive pedal. Hi Michael! Thanks for the kind words. Michael, you are absolutely correct about the low-gain pedals. I didn’t take the route of demoing each pedal through varied amp settings because I’m a lazy old fker it would been such an unwieldy amount of info. I focused instead on the sonic variations between the circuits themselves by eliminating as many variables as possible. But my default setup — clean amp, relatively low volume — definitely favors some circuits more than others, and is especially unflattering to the older, lower-gain circuits. On top of all the other pedal builds I wanted to tackle…now to sally forth with some of these as well. Thanks so much for taking the time to do this! I have lots of work to do now building several of these. First up will be the Selmer and I’m curious: what other cap did you use with the switch? I like that sound and want to incorporate it as well. Also, which schematic? I’m looking at the one that appears to have been drawn by David Main. It’s a 22uF electrolytic capacitor running from the emitter of transistor 1 to ground, in parallel with the extant connection from the emitter to ground. I got the idea from a suggestion on one of the DIY forums, though I can’t recall who made it. (If you’re reading this, take a bow!) It’s a standard technique that works particularly well here. This video is a true museum of fuzzes and simply an amazing piece of work you have done there. way to go. I am on a fuzz quest myself over the past 3 years building a lot of circuits. I would like to share this video on my FuzzQuest blog. I hope that’s alright with you. Also, how did you manage to get such clean, no RF noise, sound from the Orpheum? mine has a silicon version which introduces a lot of RF and static noise on the higher settings of the Tone/Fuzz pot? It is just so noisy on the best tone setting that it is really a shame. Thanks for the kind words! That project was SO much fun, and not nearly as difficult as one might imagine. Gosh, I didn’t do anything special with the Orpheum, though I too have built silicon version and thought it sounded pretty awful. Without the schematics in front of me, I don’t know whether that’s because a) there’s some problem with the available schematics, b) the company simply substituted silicon for germanium without compensating elsewhere in the circuit, or c) it’s just a crappy sounding circuit. Silicon transistors often generate a lot more gain than germanium ones. Maybe it’s just overly gainy. I have nothing against silicon-transisotor fuzzes, but simply substituting silicon for germanium is rarely a change for the better. Silicon tends to have more gain and have lots more high frequency content than germanium. These lead to easy pickup and amplification of RF noise and sometimes a radio station full on. You can hear some of it on Hendrix live recordings when he went from germ to silicon Fuzz Faces. You can sometimes tune some of it out with a small cap (I’ve seen anywhere from 10 – 50 pF) between the base and collector of an NPN transistor, either Q1 or Q2 can work. Tends to work for one frequency per cap, so it’s a good thing there are two transistors per fuzz face. Nukes some RF, nukes some highs, and is a trick a lot of boutiquers use that helps make a silicon fuzz sound more germ-like. +1 on the capacitor trick. I’ve gone as high as 1000pf. The high frequency rolloff effect of a cap connected between base and collector will be roughly proportional to the voltage gain. So a higher gain transistor needs a smaller cap to accomplish the same roll off frequency. Which is a fancy way of saying – “season to taste and one size will probably not fit all”. So now, of course, I want to experiment with using a variable high-frequency roll-off cap between a transistor collector and base as a tone control. Wonder if it can sound better than a post-transistor tone control. A post-transistor tone control will help take the harshness out when the transistor slams into the rails, whereas I don’t think the Miller capacitor approach would be able to do that. The Miller effect is only active when the transistor is operating linearly. hey joe, just came across this video after getting into the world of diy pedals. i’ve made a fuzz face, foxx tone machine, 3 tone benders (for friends), tubescreamer, delays, spring reverb, and small stone phaser. it’s addictive. this video is not helping. Hi Mark — glad you found it helpful! I agree that the Buzztone is pretty compelling. I’m not sure I can give you real specific measurements, though. FWIW, I’m extremely skeptical about the “optimal” hFE readings you find on various DIY sites. AC-128s can range between hFE = 50 and 150, and I’ve gotten good-sounding results with some fairly wide-ranging readings. (I seem to recall that most of the batch I used when I made that video tested out at over 100.) Really, I think the only reliable meter is your ears. Anyway, pretty much ANY properly functioning PNP transistor should sound good in the Buzztone circuit. There is nothing special whatsoever about the AC-128, other than the fact that it’s relatively inexpensive and easy to find. My advice: Test first on breadboard, or use sockets in your build, so you can experiment for yourself. thanks joe! i think i’ve found my excuse to order a bunch of transistors and start testing. When I was doing a lot of repair work that involved repairing solid state power amps it was sometimes difficult to find a replacement for hard to find transistors. The EE I worked with used to measure the Ft (F sub t) of transistors we stocked for replacement. That measurement was done by putting the transistor under test in a free running oscillator circuit and measuring the frequency it oscillated at. The frequency was directly proportional to the speed of the transistor. We found that as long as a transistor was able to handle the voltages and currents of the original and had a >= Ft that it worked well in a given circuit. This is why the generic subs like the Sylvania ECG line et al would oscillate in amp circuits showing up as parasitic oscillations when the power amps were pushed. You can find the Ft rating in most transistor spec manuals. I never tried applying that to fuzz fx but it was very audible in audio power amps and preamps. I have had mfrs actually send transistor for replacement that didn’t pass this test (especially the Japanese stereo mfrs in the 80’s and 90’s). fantastic; love all this geekery, re: the touchy-feely fuzzes….. so edifying. i almost can’t believe i hadn’t seen all of this until august of ’14, but it’s true. Wow, thank you and good job. So overdue and a wonderful resource that any DIY Pedal geek needs bookmarked. 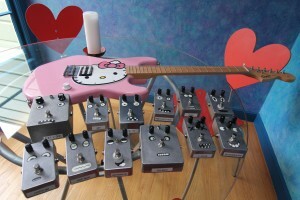 I just forwarded to friends that said they want to build some pedals. My pleasure! It was certainly one of the more fun projects I’ve done! I absolutely agree with you Joe, this ‘magic’ transistor obsession for particular weird part numbers is bunk. In guitar pedal circuits, any small signal transistor of similar spec and gain will sound the same. The biggest problem is with germanium transistors, most of which leak like sieves. Simple transistor gain testers do not discern leakage current, it gets included in the gain reading and therefore you get a completely spurious result. In addition the significant amounts of leakage current you find with most germanium transistors available today will completely screw the DC bias conditions of any circuit you build with them. This may be one reason for the ‘special transistors’ myth. You may get sonic results with one set of germanium transistors that may seem hard to duplicate, simply because of varying amounts of leakage current. It is possible to find the odd germanium with low leakage, but it is rare. It certainly makes debugging circuits built with such transistors much more difficult – ‘typical’ voltages can be all over the place. I have found that even supposed NOS germaniums have huge leakage currents. I wonder if these parts had much lower leakage when they were made and if years of slow chemical changes in the junctions have made them much leakier. Thanks, Terry. It’s been explained to me how the hFE reading on my DMM doesn’t provide accurate info, though I can’t claim to completely understand why this is so. But pragmatically speaking, in common fuzz circuits, just about any germ transistor with a triple-digit reading usually sounds good to me. Hi Mike! I don’t remember! But if you give me links to the varied versions you’ve seen I may remember which I used. Or at least I can probably tell you how the two might sound different. The thing to remember about these ’60s pedals is that the varied a LOT from unit to unit. If a manufacturer ran out of a certain part, they’d just substitute whatever was on hand. So often, two conflicting schematics can both be “right.” That’s why I urge experimenting with adjacent part values when breadboarding. Hey what vendor did you score the new reissue ac128’s from??? 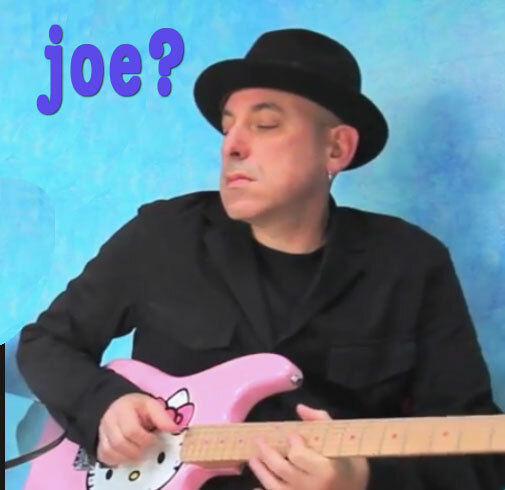 Hey Joe, I appreciate how much time you spent making this video. It truly is a joy to watch. Do you know if adding an LED to a fuzz circuit can potentially affect the quality of the sound produced? It has been rumored to be true… I noticed some of yours seemed to have LEDs and some don’t. Just wondering what you think. When pedals are run on batteries the battery is of course part of the circuit. Batteries have internal resistance, which gets higher as a battery is drained. This also depends on the battery type. Many of the early transistor effects were designed for the lowest possible parts cost in order to maximize profit. So they didn’t have supply bypass capacitors. As a result circuits, such as the early Fuzz Face, were sensitive to the condition of the battery. I suppose that if you add the extra current drain of a LED, particularly one of the older ‘not high brightness’ LEDs, that the increase in current drain could exaggerate the effect of the batteries internal resistance on one of the older fuzz circuits. I only just found this in 2016 – amazing! I can’t believe you did this but I’m very glad you did. Thanks for the education. This is impressive. Its pretty awesome to hear the how the circuits compare without all the transistor debates. Well said, Joe, I agree in the main, and it’s nice to hear a little pragmatism in a sea of lyricism. There are only a very few technical reasons for Ge transistors (of the same gain) to sound noticeably different in the same circuit. It can depend a great deal upon the response of the circuit’s bias arrangements to:differing leakage currents and Vbe between transistors, differing interelectrode capacitances, and the basic frequency response (Ft) of the transistor, and not in the least the quiescent power dissipation and thermal resistance of the junction to ambient of the transistor, as hfe is a fairly strong function of junction temperature. Great piece of work. Well done. Nice work, a lot of effort! One question: what SW tool did you use to make the video? I like the way you just put words next to the units instead of a lot of talking, a very good approach! I built a buzz around clone after seeing your video. It doesn’t get turned off, I just use the guitar volume knob = ] I’m building a Fuzz face clone now without the gain control, modded with a bias instead. Again great work and thanks. I don’t like tube scammer tone even though I modded one and got the perfect Santana tone; I just prefer the impact of the transistors, not sure why. Please, what transistor hfe and leakage would you recommend for my Wem Pepbox build? I cant get it working properly. Gosh, a wide range of hFE values should work. If you’re having problems, I strongly suspect it’s not the transistors. Anything over 50 hFE should work fine, and lower values might be cool too. And I like that a series capacitor of say, 5-20 nF on the input blocks the bass from turning the whole sound to mush.